In 2017, the Radford Fire Department established a goal of transitioning to Radford Fire and Rescue Department, which meant that six of their Fire Fighters needed to obtain their Emergency Medical Technician certification. Fire Chief, Rodney Haywood, contacted the New River/Mount Rogers Workforce Development Board inquiring about the Pathways to the American Dream project to assist with the cost of the training, tools, and certification expenses. 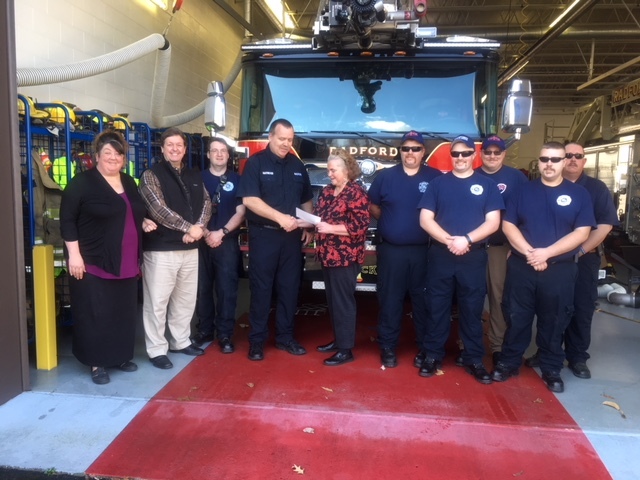 The Workforce System Navigator, Liz Annis, and the Business Services Coordinator, Kimber Simmons, worked with Mr. Haywood to assist the Radford Fire Department in accomplishing their goal. With the EMS training, all six of the firefighters were able to advance in their positions and benefit from a pay increase. According to Mr. Haywood, “with this service and funding opportunity, the City of Radford now has the best patient care and firefighting service around.” Mr. Haywood also noted that because of the upskilling of the current six employees and the addition of new employees, the Radford Fire Department was able to accomplish their goal and successfully transition to the Radford Fire and Rescue Department. He extended his gratitude to the New River/Mount Rogers Workforce Development Board for the Pathways to the American Dream assistance and looks forward to continuing to work together in the future.